After a hughe demand for Empty Ankle Weights that can be shipped worldwide these are Shihan Ankle Weights weights sold empty without weights You can fill the weights with small bags of sand and place them in the Pockets. Ankle weights can help improve exercises. Leg lifts, leg raises and pull-ups are all exercises where you can use weights to promote maximum versatility. Weights can also be added to exercise machines for a better workout. 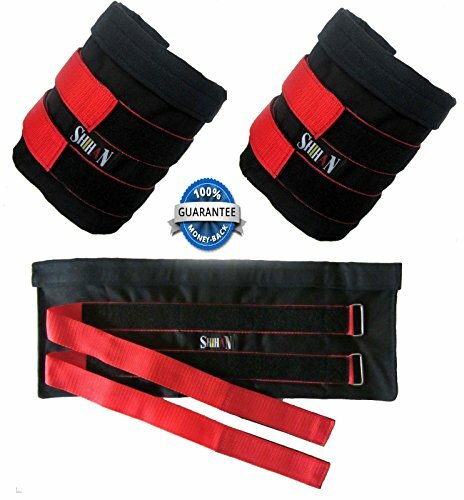 Most Popular Selling Item by Shihan,Using ankle weights will focus on joints as well as muscles. If you have any questions about this product by Shihan, contact us by completing and submitting the form below. If you are looking for a specif part number, please include it with your message.